Gisou Furin, the currently-running web manga from Akiko Higashimura (Princess Jellyfish) is coming to TV. The manga is being adapted into a live-action TV series starring Anne Watanabe (also known simply as Anne). It’ll begin airing this July on Nippon TV. 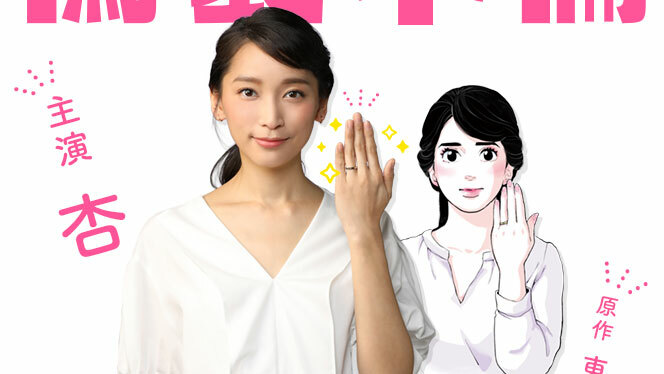 The manga is about an unmarried woman in her thirties who begins a complicated series of events when she claims to be married to a handsome younger man she meets on a plane. It was originally published on the site XOY, and is now distributed weekly through LINE Manga. Anne Watanabe has previously appeared in series such as Yokai Ningen Bem and xxxHOLiC. She played the main role in the anime film Miss Hokusai.